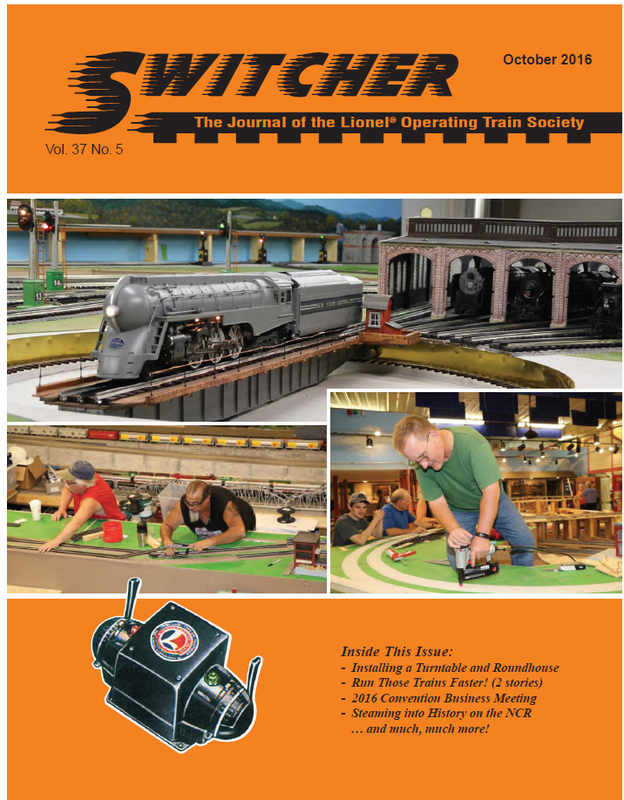 SWITCHER: For a very modest annual fee of $35 per year, you can enjoy six issues of the renowned LOTS journal, SWITCHER, which features layouts, operating tips, product reviews, Track Changes (buy-sell-trade) and everything else under the sun relating to enjoying and operating Lionel and related trains. Click the images below to see a sample issue of SWITCHER. Limited Edition Club Cars: You will be able to purchase the exclusive LOTS annual Lionel convention cars and special cars as issued. LOTS cars are always a collector's favorite and are only available to club members. Attend our Annual Convention: You are welcome to attend our annual National Convention. We plan great conventions, so you can plan on having a GREAT TIME! Members get together to enjoy a trade show, grand banquet, daily tours, and the fellowship of the rails - three rails, in this case! 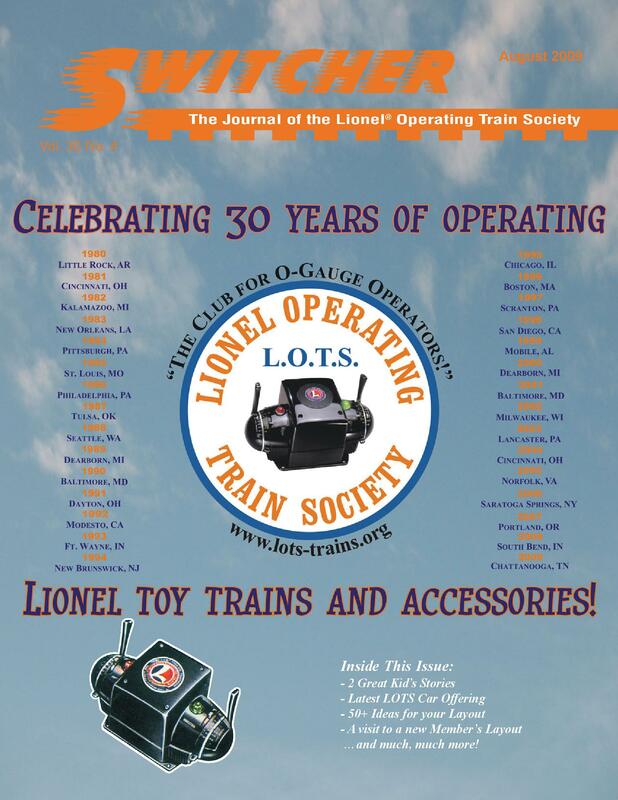 Lionel Catalogs: Receive Lionel LLC Catalogs, by mail direct from Lionel! Book Reference Library: Free access to our Book Library. Toy Train Inventory Software: Free access to the LOTS Toy Train Inventory Tracking software. Track Changes: Buy-sell-trade magazine. Available online 24/7 or in SWITCHER! You won't find better deals than from your fellow LOTS members! Roster: You will have free access to the online version of the LOTS Membership Roster, or for $5.00 per year, you can have it mailed to you annually. Schedule a get together with fellow LOTS members in your area! Become a Member today and enjoy all that LOTS offers!